Exhibition display for “Jumping Pillows”. 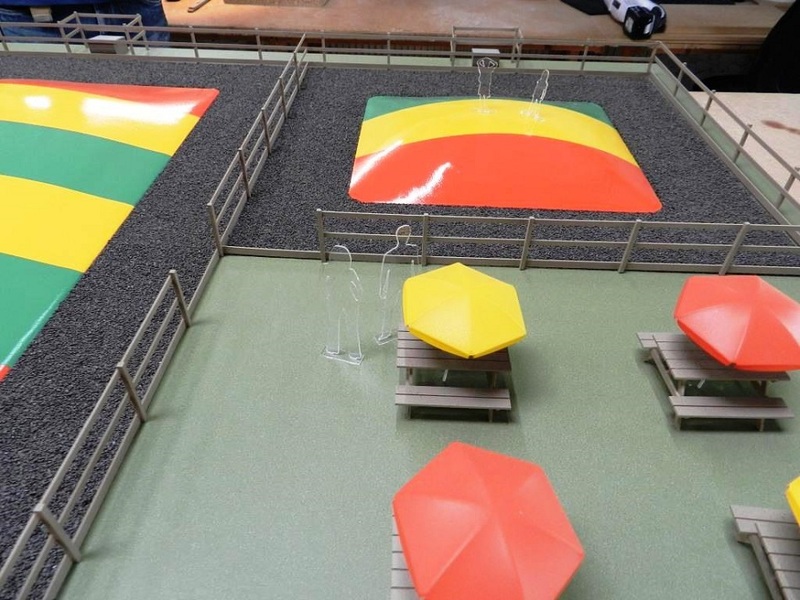 The client for this project “Jumping Pillows”, who specialise in installing inflatable play areas, asked us to design and build an eye catching model for use at exhibition events around the UK. We based this model on one of their recent installations and gave it strong colours and realistic detail so that it really draws the eye. The fencing and picnic tables give a good sense of scale but we also supplied some clear silhouette figures that the client could place on the model as an additional detail if required (you can see these better if you click on the two smaller pics above).